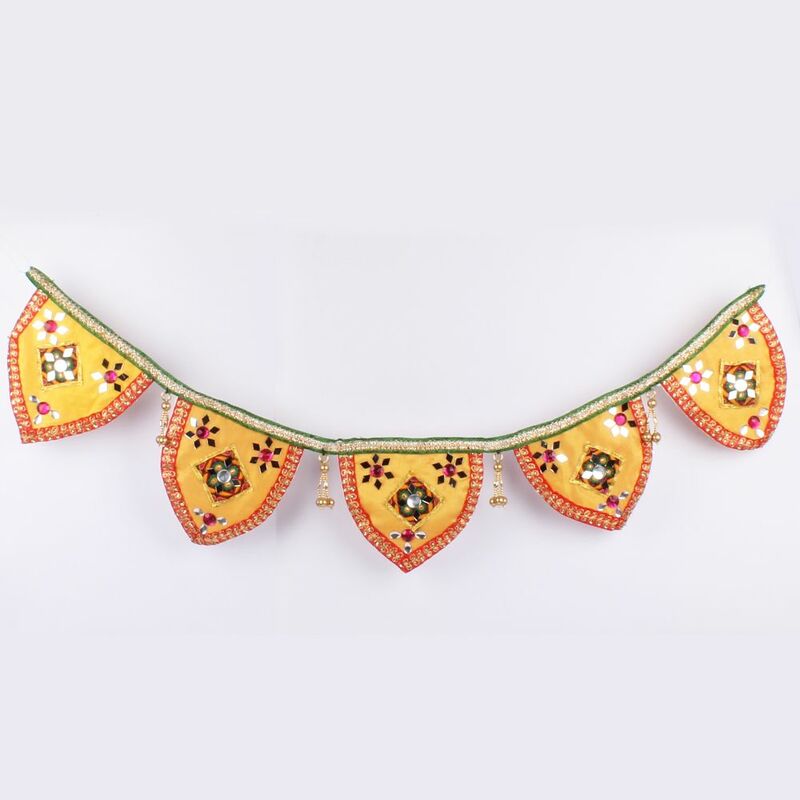 Product Consists : Mirror work with Plastic stones and Latkan Decorated Handmade Traditional Door Hanging Toran (Size : 35.5 Inch). 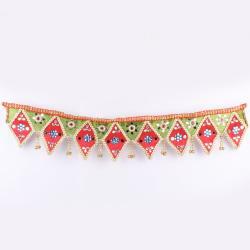 Handmade Door Wall Hangings Torans are charmingly decorated with multiple designary work on colored fabric. 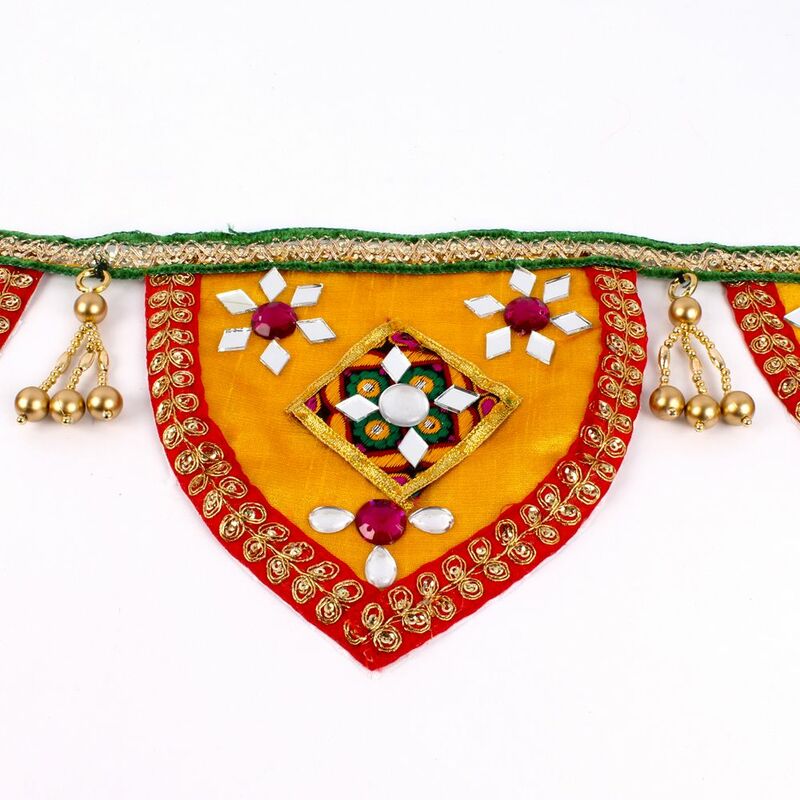 This is Beautiful & Gorgeous decorative toran with very creative Patch work designs is specially made for gifting on New Year, House Warming or for Self home decor gifting. This door wall hanging will really give attractive look to your house entrance or suit to your living room or any other place like Office. 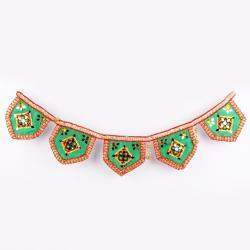 Toran will add warmth, color and style to any room. 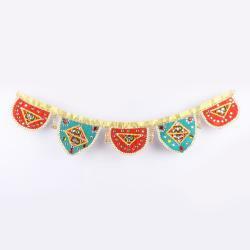 Giftacrossindia.com have a huge collection of Traditional and Modern style Torans which is collected for a our special customer who is trusting us for exclusive choice collection for their home decor e-shopping. 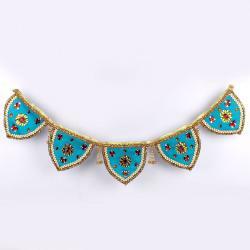 Product Includes : Mirror work with Plastic stones and Latkan Decorated Handmade Traditional Door Hanging Toran (Size : 35.5 Inch).